This simple noodle dish is a vegetarian riff on a recipe from Fuschia Dunlop’s brilliant book Every Grain of Rice. 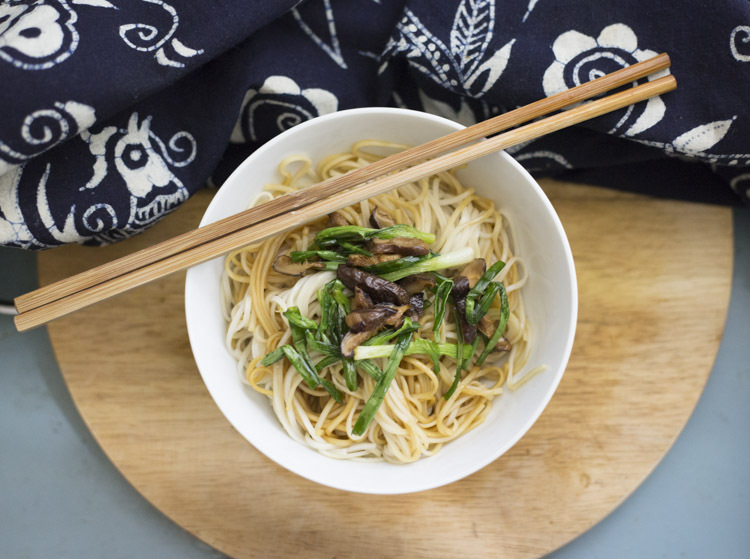 Spring onions and mushrooms are sizzled in hot oil and tossed through a steaming bowl of noodles. And that’s it, for this is one of those elegant dishes where a handful of flavourings brings a simple meal to life. 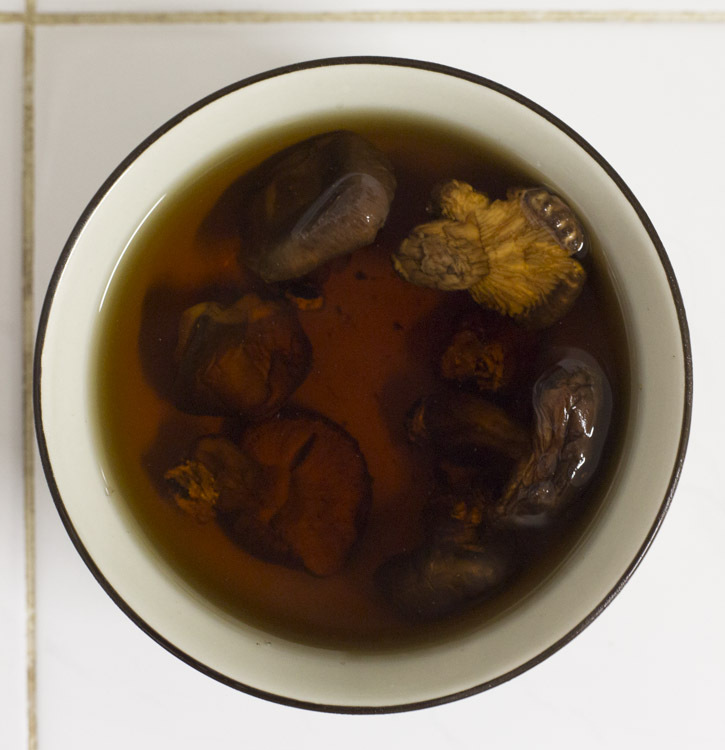 For extra umaminess, I’ve used dried shiitake mushrooms, or xiānggū 香菇 (“fragrant mushrooms”) in Chinese. 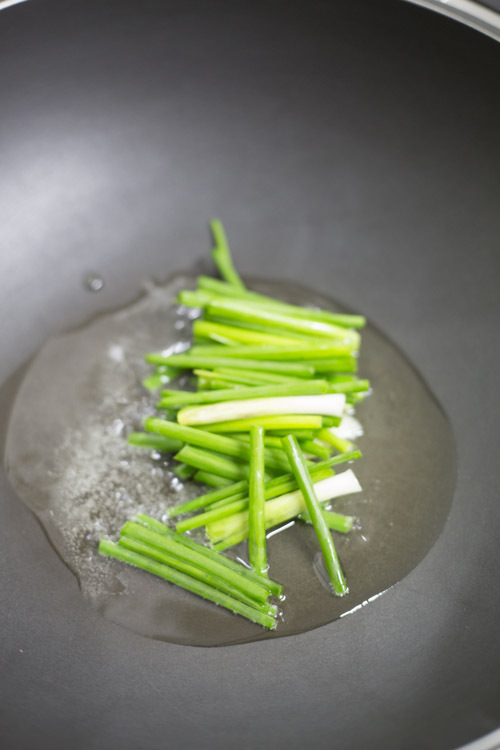 When rehydrated, these little guys manage to combine intense flavour with enough body and texture to hold their own against the spring onions. 1. Boil the kettle and sluice some hot water over the mushrooms to rinse them, then leave them to soak in whatever hot water you have left for at least 30 minutes. 2. Drain off the soaking water (though you could keep for stock). 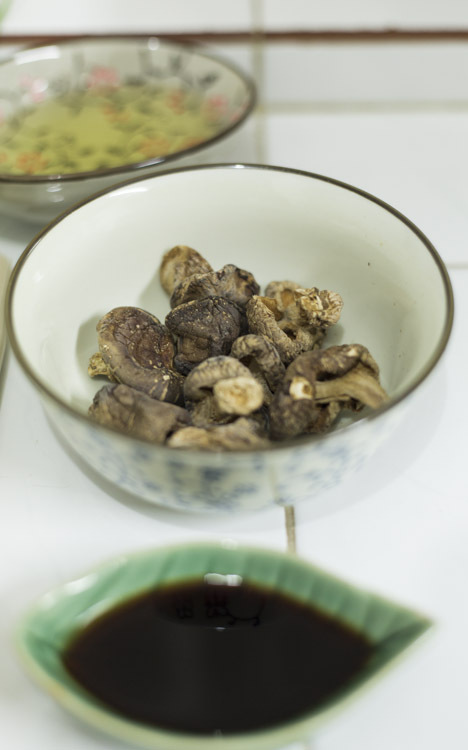 Remove any tough portions of mushroom stem and slice the remainder. 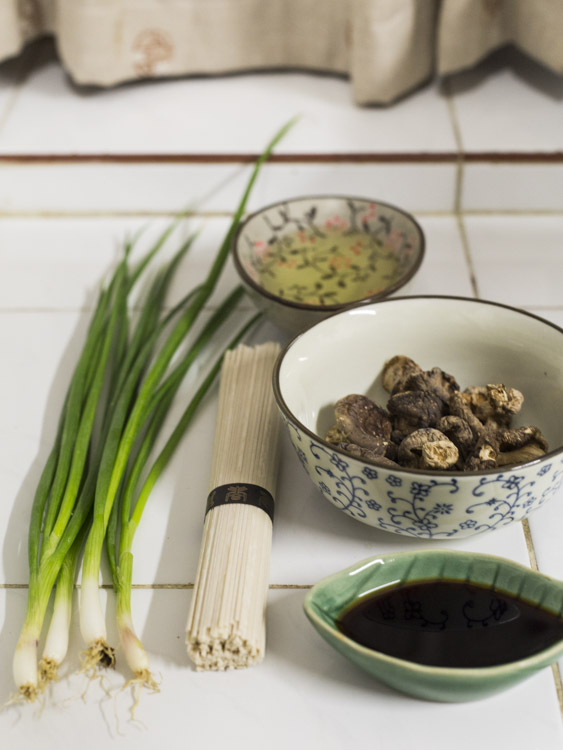 Cut the spring onions into 3cm lengths, and measure the soy sauce into the bottom of your serving bowl. 3. 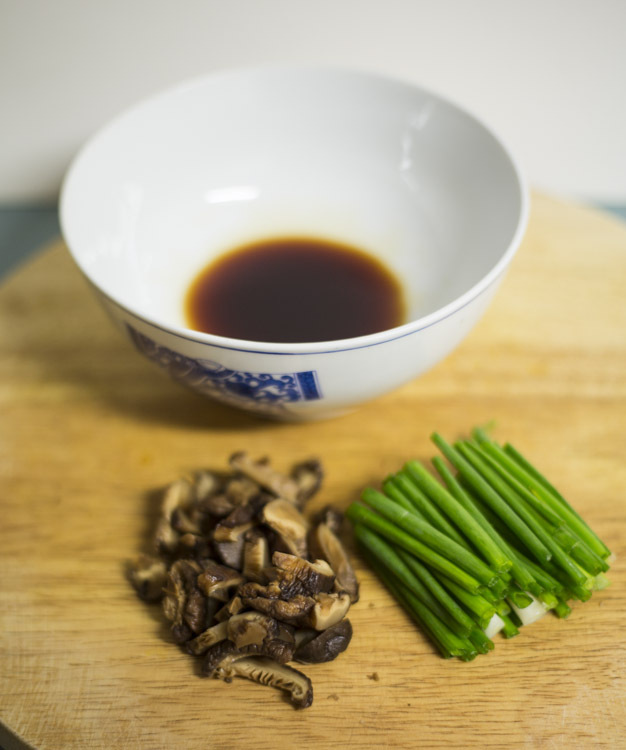 Heat the oil in a wok and fry the spring onions until they start to smell fragrant, then add the mushrooms and continue to fry until the spring onions are just starting to colour, then remove the pan from the heat. Apologies for salt snobbery here, but Maldon Sea Salt really is the bee’s knees for this kind of thing, though any other type of flaky sea salt would probably work fine too. If you only have table salt to hand, I’d skip the last step and settle for adding more light soy sauce instead. Serve with a dish of leafy green vegetables stir-fried with garlic and ginger, last week’s golden stir-fried pumpkin, or hutong-style (with a big chunk of cucumber to crunch on) for a quick and tasty lunch. I really like your recipe for their freshness, and that many of the ingredients are available in Mexico, so they are doable for me. I can’t find your share button for Pinterest. Am I overlooking it? 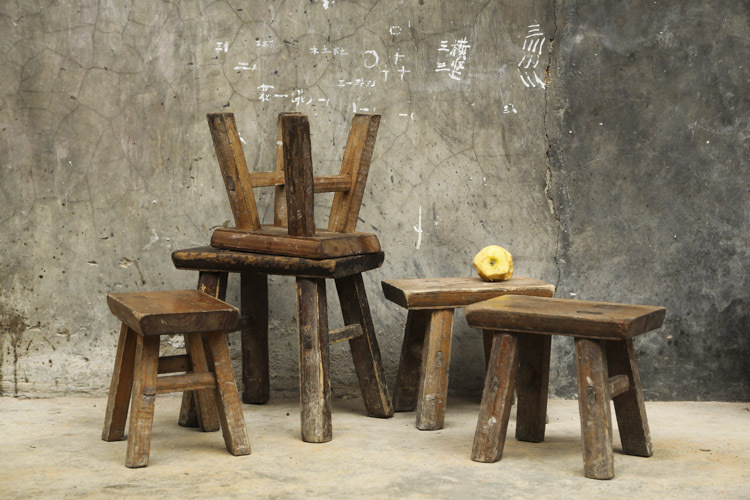 Reblogged this on Carnet de Recettes du Web. I often find that simple dishes like this made with really fresh ingredients are super tasty. I’ll have to try this sometime! Looks yummy… I really wanna try it.